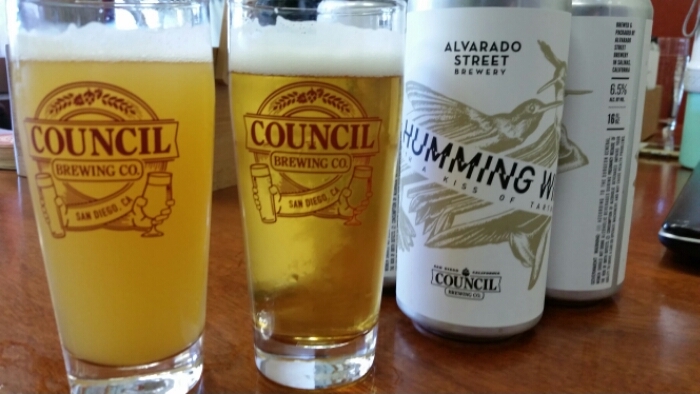 A collaboration IPA between San Diego’s Council Brewing and Monterey’s Alvarado Street Brewery. Like a tart white IPA. The citrus notes of the hops may over-exaggerate the tartness. Interesting…but in a good way. Also grabbed a 100% Maybe IPA, made with Mosaic and Ekuanot hops, sidecar.